This award is presented to a state or local official who has championed policies or legislation that has positively impacted the commercial real estate industry. Recipients receive their award at the Real Assets Conference in March. 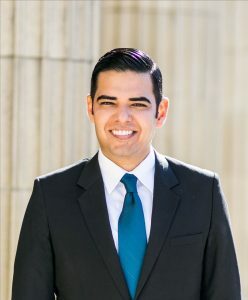 Mayor Garcia began his career in elected office representing District 1 on the Long Beach City Council. He served as Vice Mayor and was elected as Mayor of Long Beach in 2014. Overseen unprecedented economic growth in Long Beach, with unemployment rates reaching an all-time low. Implemented creative policies to combat homelessness. Invested in state-of-the-art infrastructure along important commercial corridors. Increased investment in public safety. BOMA/GLA is appreciative of the Mayor's efforts and we congratulate him on his many accomplishments.